Toxic electronic waste that European consumers dump in recycling plants is being illegally exported to developing countries, an environmental watchdog flagged on Thursday. The US-based Basel Action Network (BAN) put trackers on hundreds of electronic devices sent to recycling facilities across ten European countries between 2015 and 2017. Some of the devices were then tracked to countries in Africa and Asia. Waste Electrical and electronic equipment (WEEE) contains various substances — including lead, mercury and flame retardants — that pose considerable environmental and health risks if improperly treated. To counter exports of such waste to less developed countries — generally less equipped to recycle it — the EU signed the 1989 Basel Convention. The international treaty was designed to reduce the movements of hazardous WEEE between nations, specifically to less developed countries. The bloc has also outlawed the practice. But the BAN found that out of the 314 tracked units deployed in its study, 19 (6%) were exported out of their countries of origin. More than half of those, 11, went to developing countries. These exports are "highly likely to be illegal," according to BAN. The other eight trackers were found in other EU member states, making the exports legal. Out of the 10 countries surveyed — which included Austria, Belgium, Denmark, Germany, Hungary, Ireland, Italy, Poland, Spain — the "worst offender" was the UK with five devices found to have been shipped outside the EU, to less developed nations. The destination countries include Nigeria, Ghana, Hong Kong, Pakistan, Tanzania and Thailand with over a third of the 19 discovered exports from EU countries taken to Africa. 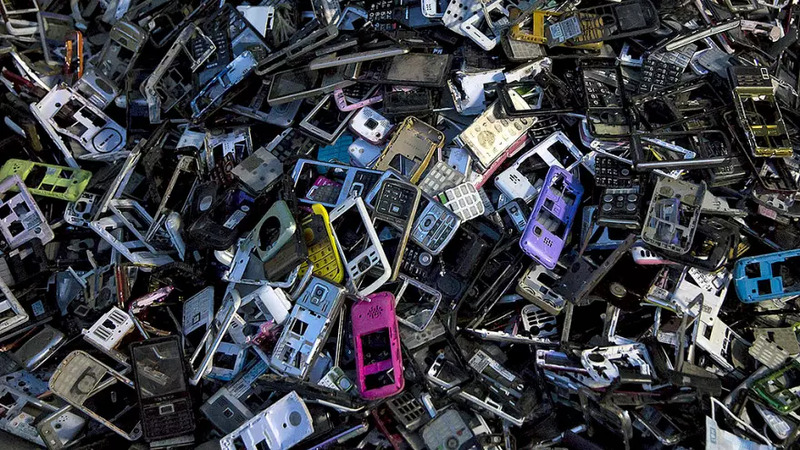 Nineteen may not seem like much but after extrapolation, the BAN estimates that a total of 352,474 metric tonnes of e-waste is exported from EU countries to developing nations every year. Jim Puckett director of BAN described the amount of "leakage" — the term used for illegal exports of waste — by the EU as "truly frightening." "But worst of all, is the fact that we have seen the European Union in recent months and years making moves to undo their leadership role in protecting the interests of developing countries from the scourge of hazardous waste dumping," he added. In a statement emailed to Euronews, the EU Commission said the bloc's rules on WEEE exports "are very strict and the EU is continuously working to improve their implementation". "Enforcement of these rules is a priority, reflected in the fact that waste-related crime has been recognised as an EU priority in our overall policy on organised crime for the period 2018-2020," it went on. It also highlighted that legislation has been in place at the EU level since 2003 to restrict the use of hazardous substances in electronics, "thus supporting its environmentally sound waste management".